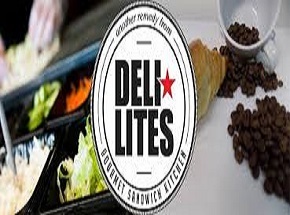 DELI*LITES started as a small family run sandwich bar in Newry more than 20 years ago and have grown to become one of the leading manufacturers with a wide range of customers throughout Ireland ranging from convenience stores and major supermarkets to food service, hospitality and tourism venues, travel sites and major coffee chains. Their range of products includes sandwiches, wraps and salads along with a range of Hot Eats such as Croque Monsieur’s and Rustic Ciabatta’s. Their strong brand presence has helped them build a reputation for delivering innovative products to the marketplace such as the recently launched Bespoké Bowls which cater for those with Super Food, High Protein, Vegan and Dairy-Free diets. They have also picked up a highly sought after Irish Quality Food Award for their Vitality Salad. Through their innovation they have developed and launched their bakery brand in recent years; Past Tense Treats. As an extension of DELI*LITES it maintains the same core values of delivering a product that is full of quality and personality. Their truly artisan products have won recognition throughout the trade with their Salted Caramel Brownie winning a Blas na hEireann Silver award and 2 Gold Stars in the Great Taste Awards while the Seeded Stem Ginger cake also picked up 2 Gold Stars at the Great Taste Awards in 2017.